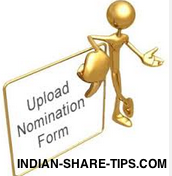 Through this post we want to enlighten you about the aspects for nomination which will help you have safe and secure banking experience for the life time. Have a look at below content which will clear your all the doubts about the nomination requirements and why it needs to be done. Nomination is a process that will enable a deposit account holder to name an individual, who can claim the proceeds of the account post the demise of the original account holder. 2) Why is a Nominee needed? All account type (except a Demat account): A Nominee serves as the sole contender to receive all the valuables held by an account holder in his/her deposit, however the nominee is not the owner of the account but holds the valuables in trust. The valuables are distributed among the heirs as per the laws of succession applicable to the deceased. Demat Account: A Nominee is the sole owner of the securities in the Demat Account. Securities are transferred to the Nominee's Demat account after a prescribed process. 3) How to appoint a Nominee to an account? You need to just fill and submit a Nomination form available at any of our branches, to appoint a Nominee of your choice. 4) Is it compulsory to have only one Nominee per account? A savings account, Demat and Fixed Deposit account can only have one Nominee, whereas accounts like Life Insurance policies and Mutual funds can have multiple Nominees. For Life Insurance policy, the nomination has to be given while submitting the initial proposal itself and can also be modified later. For Mutual Funds Nomination can be done by the customer either at the time of folio creation or later and can also be modified/cancelled. Request can be submitted either to the AMC or the Bank. 5) What is the role of a Nominee in case of a Joint Deposit Account? A Nominee's right only arises after the demise of all the account holders, in case of a Joint Deposit Account. Subscribe for our safe banking tips and save money like professionals.